They had been dominated so convincingly that their plans had been set back for years. NSW had the pack, the bench, the youth, the blistering attack, the momentum and above all, the belief that Origin was theirs for the taking. The scars of yesteryear had been erased after a long overdue clean-out of the dead wood, on field and behind the scenes, that had been holding them back for years. The gulf between the two teams was immense, and yet, when the final siren of the series sounded, the mighty Blues were left crushed and stunned as celebrations began around them. How could this happen? For mine, the killing blow was dealt long before Queensland scored the final try to seal the Blues fate, even before Johnathan Thurston pulled off a miracle conversion to take the series to a decider. The blow was dealt in the immediate aftermath of Game 1 and it was entirely self inflicted. Most things are obvious in hindsight, but the warning signs were there and, while it wasn’t a popular opinion, there were a few Roarers that raised concerns about cracks being glossed over by the win. Queensland went into Game 1 missing Greg Inglis, Matt Scott and Thurston to injury as well as having Corey Parker retire the year before and Billy Slater missing out on selection. While some may suggest that’s why NSW won, the team Queensland picked was still packed full of Origin experience and featured the core of the current Australian team. The real difference between the two sides was that Queensland picked and prepared a side for the traditional, dour Game 1 that they’ve been playing for the last decade. Call it loyalty, call it complacency, call it whatever you like, they really didn’t have any reason to think otherwise. There were rumblings of this Blues team being different but that happens every year, why should this season be any different? But south of the border NSW were preparing for an upset. On the back of Sterlo becoming a selector the Blues put together the perfect team and game plan to ambush a Queensland squad looking to grind out a win. Already boasting an impressive forward pack, they picked Nate Peats at nine to allow Mitch Pearce and Jimmy Maloney to capitalise on the momentum of the forwards and to get the dangerous running game of their outside backs involved. With their bench having a decided leg speed advantage over their Maroon counterparts, the team could use their up tempo game plan to put Queensland on the back foot and use the bench to keep them there. Without having to worry about Slater’s kick returns the Blues focused on nullifying Oates’ ability to get sets rolling by making sure he was always first tackled with a targeted kicking game, ensuring that the Maroons were under pressure for their entire set every set. The Blues weren’t looking to score off kicks, they were looking to wear out the Maroons and exploit their tired middle. With a fast track and the refs putting the whistle away everything came together for them. While the first half was a reasonably even contest the Blues came out in front thanks to their forwards, and Fifita in particular, terrorising the Maroons middle. Queensland were out on their feet and as the game continued the relentless pressure saw them crack, conceding 16 points in just eight minutes. While two of those tries were practically gifted to NSW off some very uncharacteristic errors from Queensland close to their own line they were errors that were forced by the pressure they were under. They were so spent that even when they did manage to get on the attack their execution was off and they didn’t manage a single point in the second half. The Blues left Suncorp with a 24-point winning margin. It was the perfect game plan executed to perfection. And therein lies the problem, it was the perfect game plan for an ambush in Game 1. 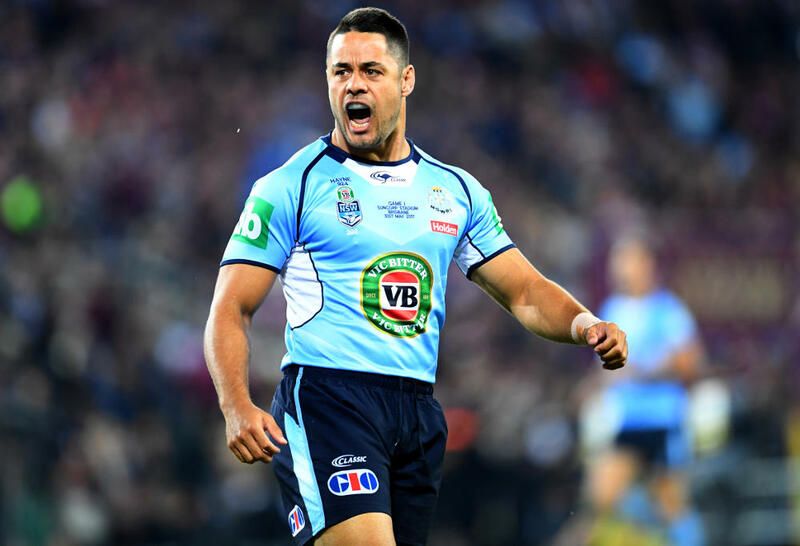 In the aftermath of Game 1 there was some discussion about weaknesses in NSW game that Queensland could exploit in the next game or two, but it was a discussion that never really found traction against the calls of a Blues dynasty. After a 24-point demolition of a champion side a couple defensive lapses, by Jarryd Hayne in particular, didn’t seem that pressing in the grand scheme of things. A point that gave me hope as a Queensland supporter was that while NSW were on top for essentially the entire game they had never been forced to endure any sustained pressure. A soft right edge might not be an issue when you’re well in front with all the momentum, but when under sustained attack from an elite rep team it can make all the difference. There was also the fact that Andrew Fifita had a big hand the majority of the Blues points, stop him and you stop the points – although that seemed like a pipe dream with the form he was in. But if you could at least partly limit his impact on the game you’d have a much better chance of at least staying within striking distance on the scoreboard. But again, these where not big concerns for a team that had been so clearly dominant. It was in the lead up to Game 2 where I believe NSW lost the series. Queensland made mass changes to their team, which some labelled as desperate and a sign of fracturing in the Queensland establishment. 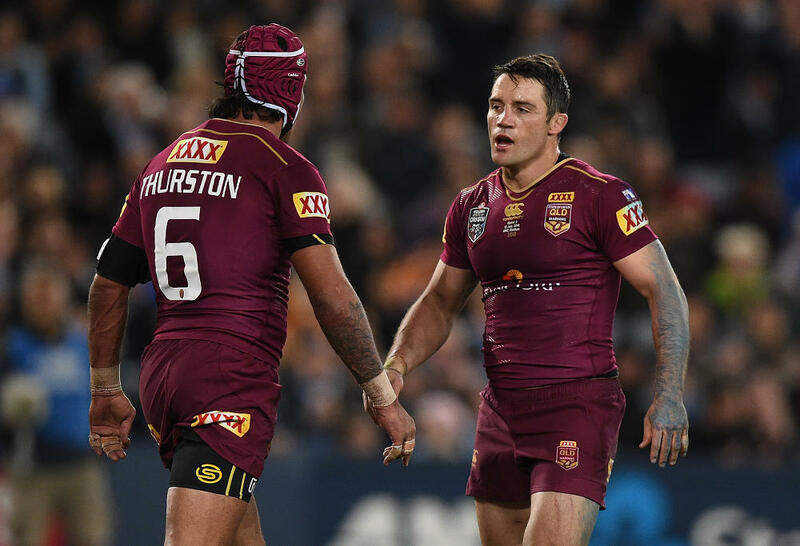 But among the changes were the inclusions of both Slater and Thurston, Queensland were now back to the spine that had carried them to so many victories before. This isn’t what cost NSW. The Blues went on to name an unchanged line-up, but this didn’t cost them either. What cost NSW Game 2 and eventually the series was not adjusting the game plan to accommodate playing against a different team. In fact they seemed to have less of a plan against this new side, seeming to believe that they’d roll them through the middle just like game one. While the Blues had quite deliberately taken Queensland’s kick returns out of the equation in Game 1 there didn’t seem to be the same emphasis on negating Slater’s returns, despite (or perhaps due to) him not playing Origin for the last two years. Also, reports of Queensland focusing on handling Fifita were met with claims that focusing on one player would hurt the Maroons more then the Blues. For a team which had game plan heavily reliant on being on the front foot and maintaining that, there seemed to be a distinct lack of regard for their oppositions efforts to take that away. Questions over Hayne’s limitations at centre were met with “he’ll be better for the run” but no seeming plan to ensure it other then blind faith. And so as Game 2 got under way the script looked very similar to the first half of Game 1, with both sides having runs of momentum and NSW looking even better on the soreboard with three tries to Queensland’s one at half time. There were a couple differences though. 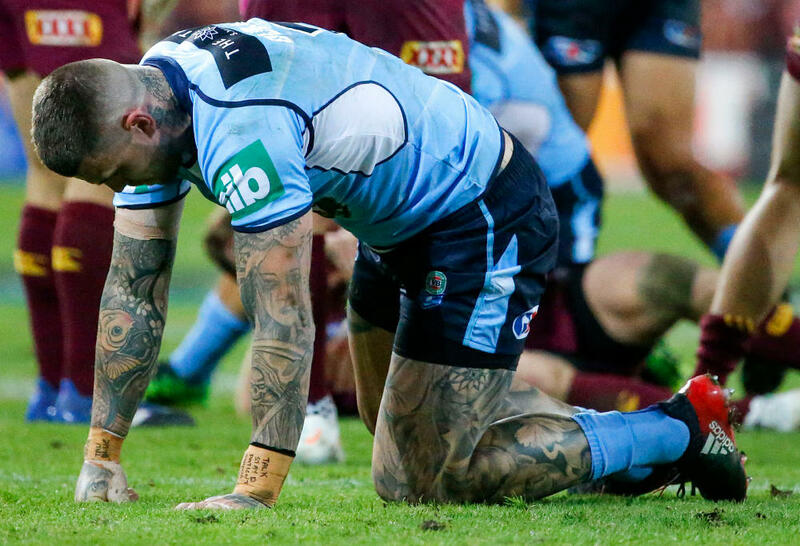 Fifita’s game had not only been impacted by the Maroons defence, it had been effectively nullified, although that was yet to see real dividends. Slater’s kick returns, with the help of his wingers, on the other hand meant that Queensland weren’t facing the same constant pressure that they had in the previous game and rather then being out on their feet at half time they actually went into the break with a slight momentum advantage after a late no try. It was the second half where the Blues fell apart. As the Maroons came out in the second half they had the energy reserves to go up a gear. While they were hardly dominant they weren’t being dominated, and NSW quickly found their points dry up, not being able to turn to a well contained Fifita to bust the game open they seemed to switch between panic in attack or trying to defend their lead. There was no plan B. The pressure was off Queensland and they were able to get a try in the opening ten minutes to get within striking distance, and we all know how it ended with Queensland taking a narrow win over NSW thanks to a late try through NSW right edge and Thurston kicking from the side line. Queensland drew the series despite carrying injuries through the game and only leading for four minutes. The Blues were blasted by various experts in the immediate aftermath of the game, but the outrage generally subsided into the arguments that NSW either just switched off or they should have targeted Thurston. This was met with “we’ll learn from this” and “we’ll be better” from the coaching group and was soon forgotten after the news that Thurston was out for the series and the season, followed by the frenzied attempts to push various replacements by every expert under the sun. And so with the reasoning that NSW had lead the scoreboard for all but four minutes of the series, they were spared from having to take any real responsibility for the loss and once again gloss over any cracks that were starting to appear, plus Thurston was out, Queensland couldn’t possibly win. Off to Game 3. Queensland again names changes, including their fourth halves paring of the series (if you count Tony Milford only playing one half) and NSW again remain unchanged. I still don’t have a problem with the Blues not dropping any players, but again they refused to adjust their game plan in response to the inroads Queensland were making. They were just so very dominant in Game 1 you see. The issue wasn’t that the team wasn’t changing, it was that the fact that the team wasn’t changing also reflected the fact that they still thought that they could beat Queensland exactly the same way they had done six weeks before. The Maroons weren’t going to be able to contain Fifita again and the edge defence had learnt from their last game, again. But the biggest problem with their repeating game plan is that you can’t surprise a team twice with the same tactics, especially when your team selections (or lack thereof) telegraph that you aren’t changing them at all. When you have a game plan so reliant on being on the front foot you better make sure that you don’t let the opposition beat you to it. But Queensland had worked them out. As the whistle blew to start the decider the Queensland ambush was on. After having a relatively contained series so far, Smith flew onto the front foot. He made more metres in his first touch then he had all series and he immediately had NSW on the back foot. With the Blues forward pack unable to make the same inroads against a tightened up defensive structure, Peats’ effectiveness was limited and the halves had little room to work with. Fifita was again nullified and unable to provide the impact that got the Blues rolling in Game 1. The Maroons kicking game was on point and ensured that the NSW backline couldn’t get them out of trouble and in a reversal of Game 1 it was the Blues that were under constant pressure. Queensland went on the demolish NSW, who apart from one bomb never looked like scoring. They took away NSW plan A and there was no plan B. More concerning then the loss of the series however was the Blues complete inability to comprehend why and how they were beaten. It wasn’t supposed to happen. Maloney saying that he was embarrassed because they “played like reserve graders” just highlights that they had no idea what went wrong. Cordner and Daley both claiming responsibility and suggesting that they “didn’t play their best” and Queensland were just better on the night brings up concerns about how much homework they actually did on the Queenslanders, especially considering the 52-6 thrashing they received in the previous decider at the same ground. If I’m right and the coaching staff recycled the same broad tactics for each game then the coaching staff seriously need to be looked at. All game plans have a shelf life and this is even more true in origin where every game is a must win with elite players and coaches on both sides. There’s no point blaming Pearce or Hayne or any other player if their plays are doomed from the start and they have no back up plans. These are guys picked and trained to play to a certain game plan and from what I saw it wasn’t a case of the players moving away from the plan as it was a case of the plan not working, and the moment you’re relying on individual brilliance in a game like Origin you’ve already lost. I’m sure that NSW will have a review into their series but given the lessons that they seemed to miss from the first two games I highly doubt that that much will change given the lack of changed after past defeats. But who knows, next year is another potential dynasty/redemption story after all.